A Canadian study undertook to evaluate the effects of krill oil on C-reactive protein in patients with chronic inflammation and also to look at the effects of krill oil on arthritis. C-reactive protein is a protein found in your blood. Levels rise in response to inflammation, so doctors prescribe a blood test and if you have high C-reactive protein, you have high inflammation. Inflammation is part of the complex biological response of vascular (blood vessel) tissues to harmful stimuli, such as pathogens, damaged cells, or irritants. Inflammation is a protective attempt by your body to remove the bad stuff and to start the healing process. So anything that can naturally lower inflammation does so by reducing the amount of damaged cells and irritants in your body. This study used 90 patients with cardiovascular disease, rheumatoid arthritis, osteoarthritis, or any mix of the three AND with three consecutive weekly C-reactive protein tests scoring high. The study group received krill oil and the control group received a placebo. C-reactive protein and osteoarthritis were the study and on days 7, 14, and 30. After 7 days of treatment C-reactive protein was reduced by 19.3% in the krill oil group, compared to an increase of 15.7% observed in the placebo group. 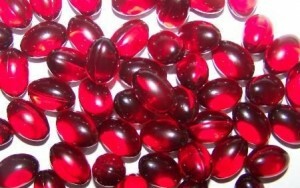 After 14 and 30 days of treatment krill oil further decreased C-reactive protein by 29.7% and 30.9% respectively. The C-reactive protein levels in the placebo group increased to 32.1% after 14 days and then lowered to 25.1% at day 30. Krill oil significantly reduced all of the osteoarthritis scores. After 7 days krill reduced pain scores by 28.9%, reduced stiffness by 20.3%, and reduced functional impairment by 22.8%. I take 1000 mg of krill oil daily as insurance against inflammatory diseases and joint breakdown. J Am Coll Nutr February 2007 vol. 26 no. 1 39-48. Evaluation of the Effect of Krill Oil on Chronic Inflammation and Arthritic Symptoms.